2. 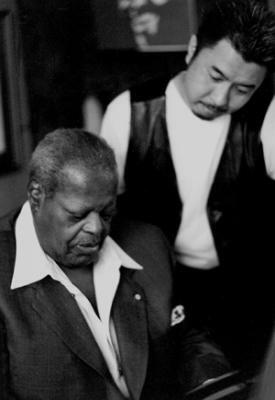 Oscar Peterson and Makoto Ozone. Makato Ozone was in Toronto this past Saturday for a cover-shoot of Swing Journal and interview with Oscar. I assisted photographer Paul Hoefler. I was fortuate to capture a few discreet images.